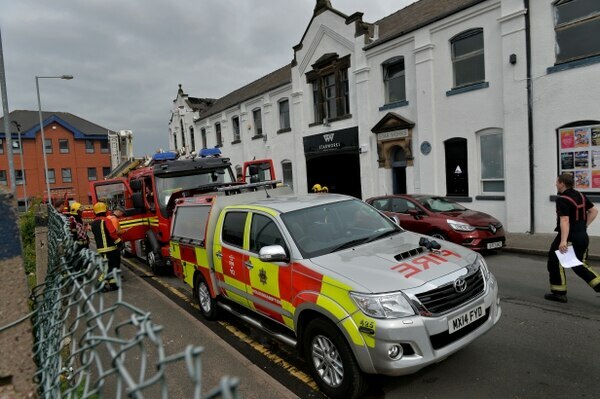 Forty firefighters have tackled a blaze at popular Wolverhampton music and events venue Starworks Warehouse today. Crews from across the Midlands were called to Frederick Street, Blakenhall, at around 7.45am. 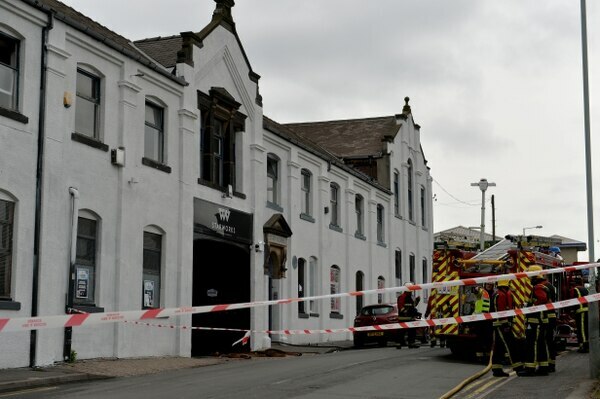 West Midlands Fire Service say the blaze was inside the two-storey venue. The circumstances of the blaze will be investigated in due course. The blaze happened in the 40,000 sqft building near the St John's Retail Park. Firefighters wore breathing apparatus to get close enough to quell the flames inside. 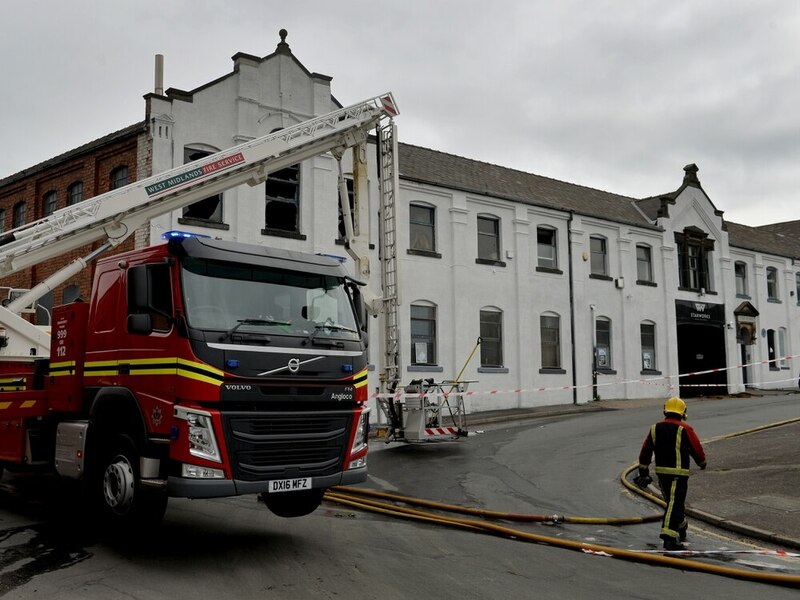 Crews from Wolverhampton, Fallings Park, Bilston, Dudley, West Bromwich and Tipton stations were at the scene at the height of the fire. 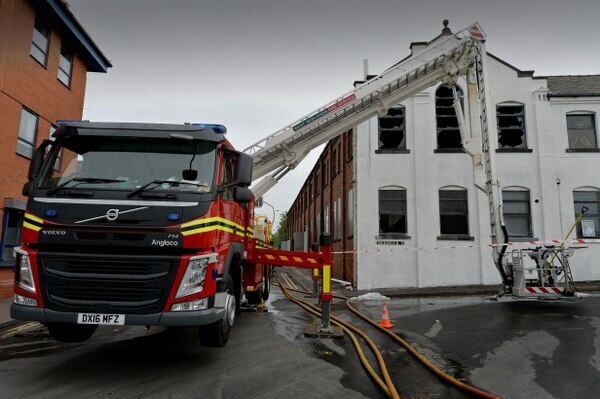 Crew commander Warren Davies, of West Midlands Fire Service, said of the building: “It was secure when we got here. “Until we have a real rummage round we can’t say what it is - it’s not looking like it’s arson. “We cordoned off the area. It’s business as normal for other units and factories. 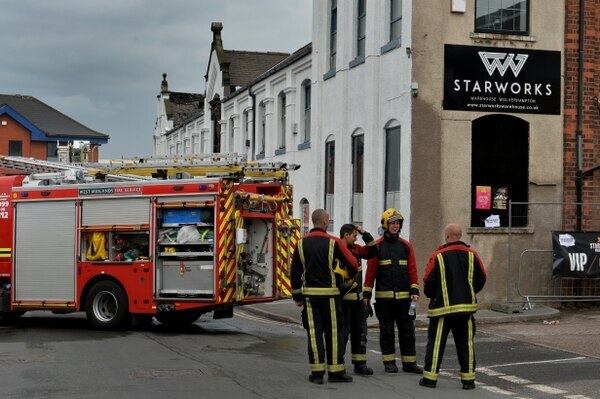 “We have got to speak to the owner now that the smoke has cleared. Nearby car park manager Stuart Miller, aged 46, from Wolverhampton, made the original call to the building's owners. He said: "The next thing I know a man from Starworks arrived with keys. “He entered the building and said it was full of smoke. I could see just smoke and no flames. “I have been here 10 years and this is the first fire I’ve seen. “Chubby Brown is down in two weeks but whether the main venue has been affected I don’t know. Chief Inspector Gareth Morris, who is force incident manager, at West Midlands Police, said officers had been working with fire crews. Starworks Warehouse is based in the Grade II listed former factory of the Star Motor Company. The building was home to the motor company which was one of the first mass production car companies in the UK. The site dates back to 1903. 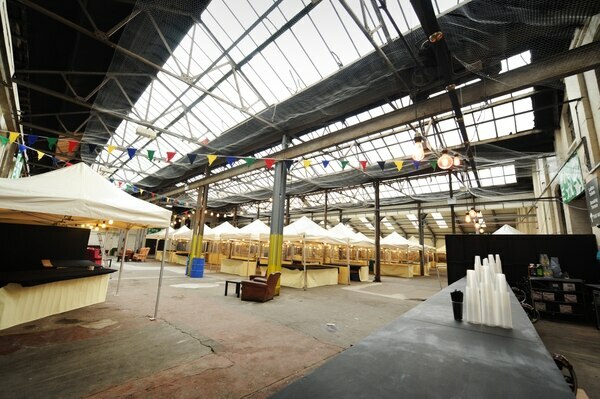 The building was transformed into a music and events venue in 2016. It was due to host Reload in Wolverhampton and garage night Wonderland this weekend. Comedian Roy Chubby Brown was due to perform at the venue on May 25. An evening with England legend Paul Gascoigne was due to take place on July 20 with Wolverhampton Reggae Festival scheduled for July 21. 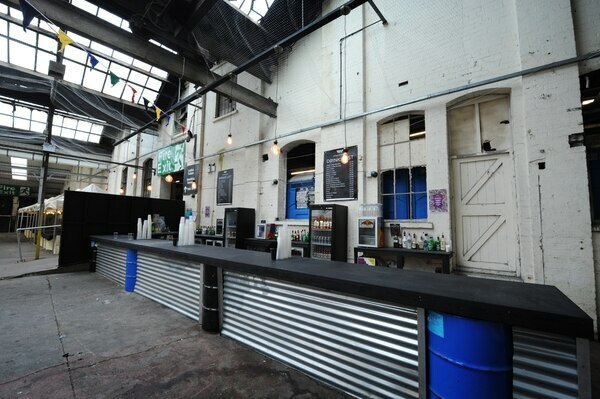 Earlier this month the venue hosted the Wolves promotion after party. In November, Starworks Warehouse held the 100 Masters Festival showcasing Black Country talent across arts, culture, music and sport. It was announced earlier this month that Mark Blackstock, who previously ran Wolverhampton Civic Halls, had taken over as general manager of the venue. The four-room, Marstons-backed venue has a 4,000 capacity. The Civic halls are currently closed for a major refurbishment project.